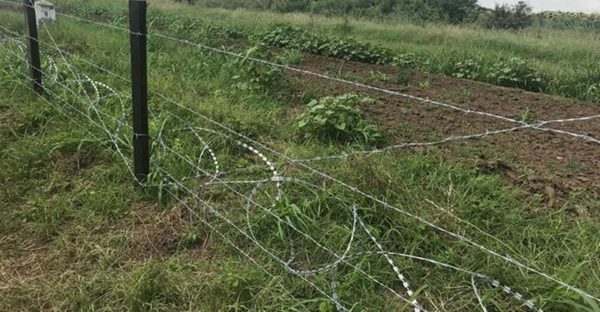 Bulgaria’s Agriculture Ministry made much of the fence put up at the land border with Romania to try to prevent African Swine Flu entering the country – boasting how rapidly it was completed, in just four weeks. But now the fence has led to the resignation of the Forestry Agency chief. The resignation of Grigor Gogov as head of the Forestry Agency was announced by the Agriculture Ministry on September 14, following allegations that members of his family had been involved in a public procurement contract to supply stakes for the fence. The ministry said that its inspectorate had looked into the matter and found no irregularities, but complaints also had been made to the recently-founded anti-corruption commission. The announcement of Gogov’s resignation came on the same day that the National Epizootic Council held a meeting, chaired by Deputy Prime Minister Tomislav, to discuss measures against the spread of African Swine Fever and small ruminant plague. The risk of African Swine Fever spreading in Bulgaria is seen as high. In Bulgaria’s northern neighbour Romania, there have been numerous cases, including close to the Bulgarian border, and 12 areas in Romania are under quarantine. Bulgaria has set up a 20km sanitary cordon around industrial pig farms to try to prevent the spread of African Swine Fever. The Bulgarian authorities have issued an appeal to all pig farmers in those areas to voluntarily exterminate their animals, for which they will be compensated by the state. If farmers refuse to kill their animals, state veterinary services will do so and no compensation will be paid.